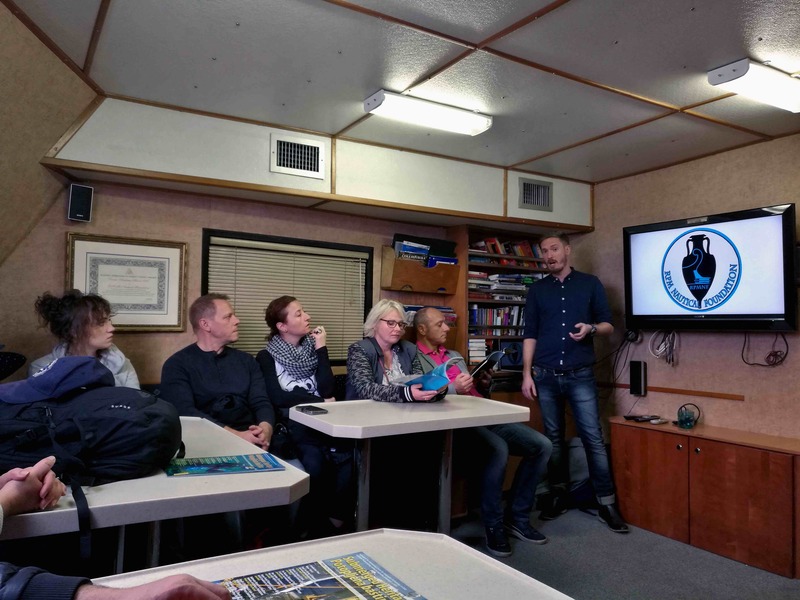 The Organization for Security and Cooperation in Europe (OSCE) visited RPM Nautical Foundation’s research vessel Hercules at its berth in Malta. Delegates toured the ship and Peter gave an overview of RPMNF’s projects over the years, as well as discussed the looting and trafficking of underwater cultural heritage. Delegates from most Mediterranean countries were present, including those where RPMNF has conducted a number of research projects.